Carolina Forest is one of the premier communities in Myrtle Beach and the gated condo subdivision of Carolina Willows is a favorite choice of Carolina Forest homebuyers. The 2 and 3-bedroom units offer an affordable alternative to a single-family home, with minimal time spent on maintenance. 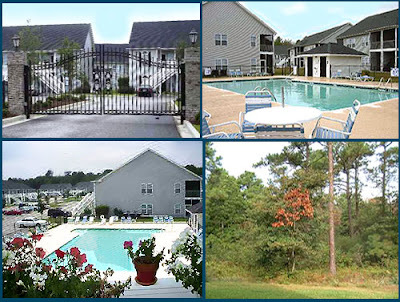 These condos are clean new units have screened porches with upgrades like hardwood and tile flooring. The neighborhood is backed by a wooded area that provides a peaceful, private ambiance. Prices are usually less than $100K and occasionally there is foreclosure bargain in the listings. The gated entrance gives the neighborhood an added sense of safety. Students attend Ocean Bay Elementary School, Ten Oaks Middle School, and the highly rated Carolina Forest High School. HOA fees include maintenance on the community pool, cable, water and sewer, and trash pickup. The central location is convenient to shopping and businesses in Carolina Forest as well as everything along the Grand Strand. If you would like to know more about this amazing community, please visit our website. Call our real estate professionals with any questions you might have. 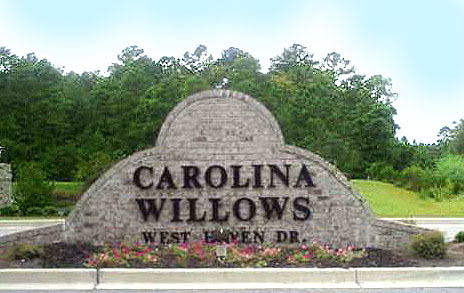 Schedule a private tour of the Carolina Willows condos for sale and let us show you all the amazing features of this beautiful community! At the very north end of Ocean Drive, along the popular “golden mile” the magnificent Monterey Bay Resort beckons to vacationers. 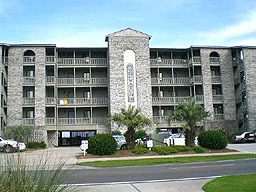 The extraordinary high-rise resort sits oceanfront, midway between Barefoot Landing and Broadway at the Beach and close to all the incredible tourist attractions along the Grand Strand. Monterey Bay condos are one-bedroom units with luxury upgrades like granite countertops, stainless steel appliances, ceramic tile flooring, and more Corner condos have amazing ocean views on two sides. Balconies provide a great place to start your day or unwind to the sound of the waves crashing not the beach. Bargain priced at under $100K to around $200K, these units are perfect for a vacation get-away or inexpensive rental with a lot of potential. Guests can walk just a few feet to the beach or lounge around the gorgeous outdoor pool. There is an indoor pool and Jacuzzi for days when you have had too much sun but not enough water or the weather is a bit inclement. The fitness room helps you maintain that beach body. For your convenience, there are elevators and WI-FI. To learn more about this condo resort and see current listings, visit our website and call our real estate professionals with any questions you may have. 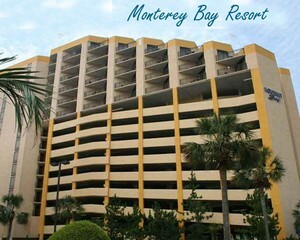 Make sure you schedule a private tour of the Monterey Bay Resort condos for sale when you call! ➡️72% of buyers who purchased homes this year have put down less than 20%. ➡️76.4% of loan applications were approved last month. ➡️The average credit score of approved loans was 727 in September. 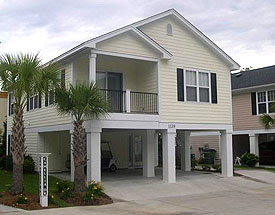 Find out more about Myrtle Beach Real Estate! 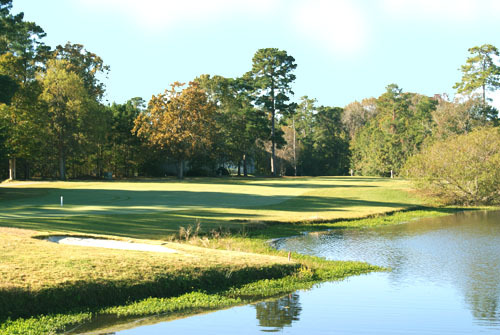 Beautiful Pawleys Island is home to Litchfield by the Sea and the River Club Golf Course. The public course was created in 1985 by Tom Jackson and offers a challenging Plantation style design featuring water on 14 holes. The River Club community which borders the course is private and gated. The 3-4-bedroom homes are custom designed, traditional and ranch styles with vinyl sided and brick exteriors. Tropical foliage decorates the large lots of up to an acre in size. Prices for these gorgeous homes start at around $300K and run to almost $500K, depending on size. There are also some lots available on which to build, as well as, 3 condo complexes -Magnolia Run, Tall Pine Villas, and Emerald Greens. 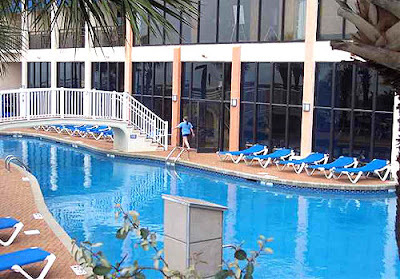 The River Club HOA is the governing body for Litchfield by the Sea, handles all legal affairs, and manages the swimming pool facilities, and other amenities. While the community is private and gated, the golf course is public. 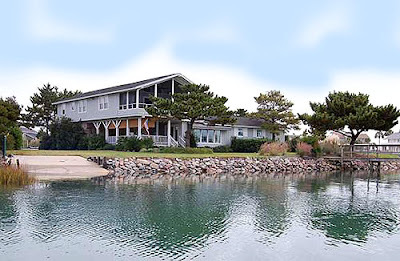 River Club residents enjoy access to Litchfield’s private beach and, for a fee, can use the Beach Club, as well. The exquisite homes with gated security and delightful amenities make this a very popular community. 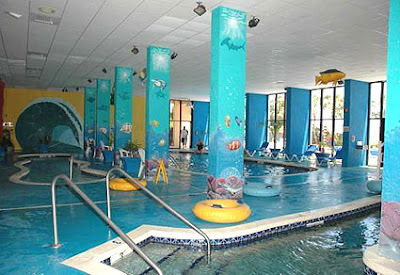 The kids love the pool and facilities while golfers spend time on the greens. If you long for a golf resort lifestyle, visit our website to learn more about golfer’s paradise. Cal our real estate experts with any questions you may have and schedule a tour of the River Club homes for sale and find your own slice of heaven. Every avid golfer dreams of having a golf course in his backyard. The smell of lush course greens heavy with morning dew wafting through the morning breeze and sunny afternoons spent leisurely puttering from hole to hole. Sigh… wouldn’t it be nice? Myrtle Beach is the paradise where golf dreams come true. You don’t have to be a golf enthusiast to appreciate the stunning tranquil vistas that a golf course offers. There are approximately 100+ extraordinary golf courses providing an endless variety of communities to choose from, featuring golf condos that won’t break the bank for under $100K to extraordinary multi-million-dollar mansions. Many of the communities are outside city limits, offering lower insurance rates and lower property taxes. Homes in communities near the beach have exceptional amenities and can make good rental properties for those looking to invest. If you want to make your dream come true, visit our website for more information and call our real estate experts with any questions you have. Schedule a private tour of Myrtle Beach golf course homes and see paradise for yourself! 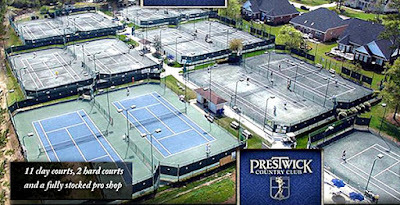 With a stunning championship golf course and one of the finest tennis facilities in Myrtle Beach at the heart of the community, Prestwick is, perhaps, the most outstanding mixed-interest recreational community you will find. Gated for privacy and with 24-hour security, elegant homes and condos border the pristine course greens, in several exquisite subdivisions, including Pipers Glen Condos, Highgrove, Wynfield, and Manchester Place. Condos are priced around $200,000 and single-family homes list for $300,000 to over $500,000. The luxury homes and recreational possibilities make the homes in Prestwick Country Club some of the most sought after at the beach. The amazing country club features a large swimming pool, private cabana, shower/locker room facility, and a fully stocked pro shop. The dining facility offers the incredible cooking of Executive Chef Richard Hartnett who specializes in Asian cuisine. Prestwick’s tennis amenities are the finest in Myrtle Beach. A well-stocked pro shop, 2 clay court, and 11 clay courts provide plenty of opportunities for spirited matches. The complex also hosts the annual Identity Adult tennis tournament and league tournaments. From the immaculately cared for greens to the serene lakes and beautiful flower gardens, Prestwick Golf Course is a golfer’s dream. Created by Pete and P.B. Dye, the course is one of the best in the area with a pro shop that features everything a golfer could need or want. If you would like to know more about this incredible community, please visit our website to learn more. Call our real estate experts with any questions you may have and don’t forget to schedule a private tour of the Prestwick Country Club homes for sale. It’s the feel of the cool ocean breeze as the sun caresses your skin. It’s the smell of the freshest seafood cooked by the finest chefs. It’s the vibrant colors of the sky and the ocean as far as the eye can see. 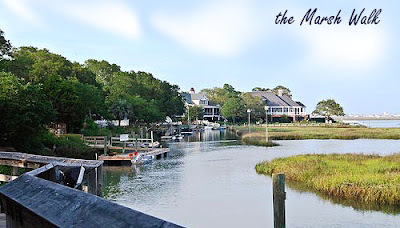 The easy-going “Low Country” ambiance and southern charm that envelope Murrells Inlet will make you feel like you are coming home to paradise. Murrells Inlet, in the past, has been home to Spanish explorers, pirates, Native Americans, and the fishing trade and all have blended to create a unique culture and left a distinctive mark on the original families of the area as well as the design of the historic old homes. You’ll find that homes in Murrells Inlet are older and often have water views. With rare exceptions, modern housing, such as the waterfront townhomes at Point Gilead are rare treasures. Condos are mainly found close to golf courses and newer developments. Waterfront condos are rare treasures. A garden of Eden for boaters and fishermen, the Inlet offers many inlets to explore and amazing places to catch your own fresh fish. If you are not into fishing, there are incredible seafood restaurants that offer the finest fresh seafood in the world. The beautiful “Marsh Walk” is a peaceful boardwalk that provides stunning water views. Nearby Huntington Beach State Park and Brookgreen Sculpture Gardens are popular attractions where you can spend many happy hours. New businesses and stores are popping up along Hwy 17 all the time with every convenience you can imagine. 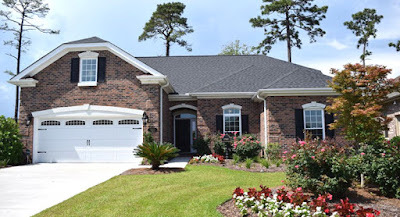 Murrells Inlet is the home of the TPC Myrtle Beach Championship Golf Course which features Prince Creek, one of the best luxury golf course communities anywhere. Mt. Gilead is another treasure, you will want to see. Woodlake Village offers seniors more than just a home, its an active adult lifestyle. If you are looking for an older community, full of charm and a rich history, you will fall in love with this private haven and all it has to offer. Visit our website to learn more and call our real estate professionals with any questions you might have. 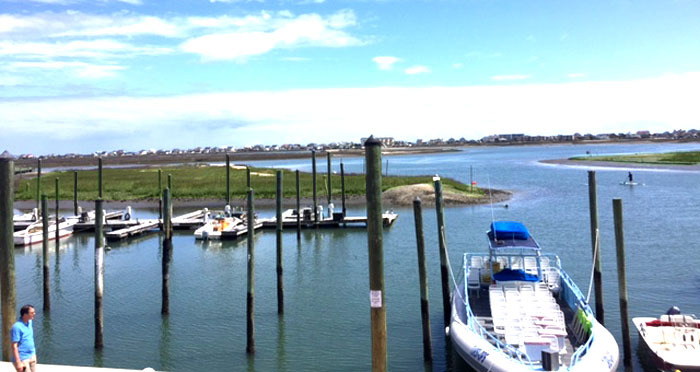 Be sure to schedule a private tour of Murrells Inlet real estate today. Even the wrath of two destructive hurricanes could not stop Garden City Beach from emerging as one of the Grand Strand’s shining beacons and a premier vacation spot. 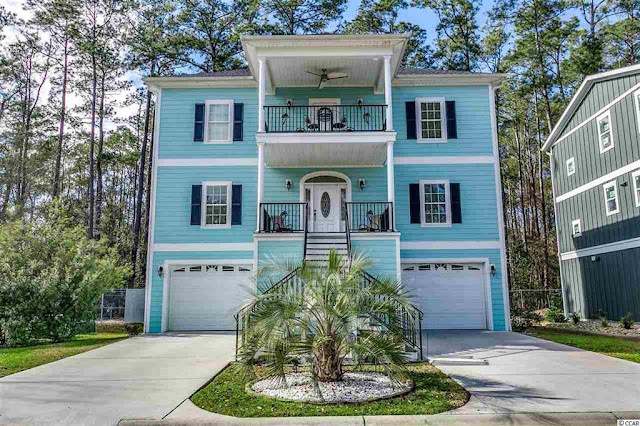 Whether you are looking for a primary home, a family vacation hideaway, or a rental investment the beachfront homes, along Waccamaw Drive, are ideal! With a panoramic view of the Atlantic Ocean just outside the front door, the raised beach houses offer 4-7 bedrooms, plenty of parking, and a rental history that has great potential. Garden City is laid back, offering a less hectic, less crowded atmosphere than Myrtle Beach. There are unlimited opportunities for family fun, fantastic seafood restaurants, and the Garden City Pier, nearby. 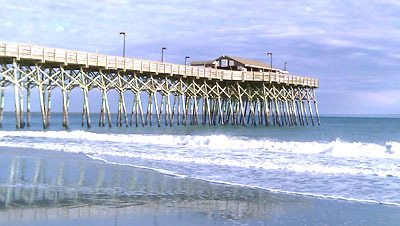 Tourists flock to the 650-foot long Garden City Pier, one of the finest piers along the Grand Strand. At the far end of the pier, the “End of The Pier” bar provides music and dancing all summer long. Of course, the pier also features a tackle shop, great fishing spots, an arcade, and the Pier Café. Options are plentiful here. Cherry Grove is the only other place along the strand where you will find homes across the street from the beach and on the water. 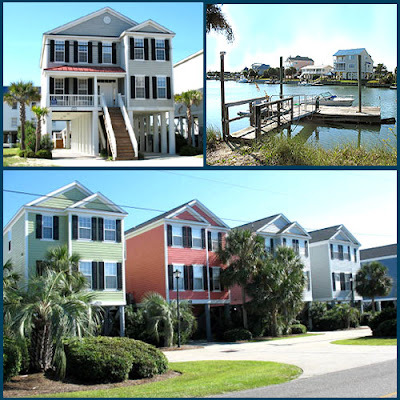 Whether you are looking for a traditional stilt beach house, other single-family style homes, or an oceanfront, ocean view, or waterfront condo, you can find just what you are looking for. 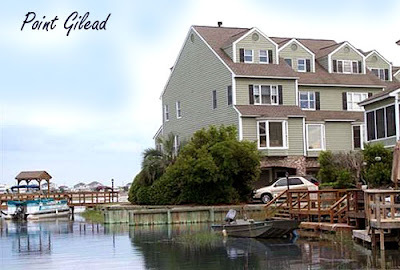 Many of the tidal creek houses and inlet bungalows have private boat docks that are perfect for avid boaters. And there are no HOA fees. Prices run from $600K to over $1 million. At the intersection of SC-544 and Bus-17, the city Surfside Beach offers a 2-mile stretch of residential beach and a flourishing collection of businesses, including doctor’s dentists, drug stores, groceries, restaurants, and more, as well as Inlet Square Mall and the Surfside Pier. 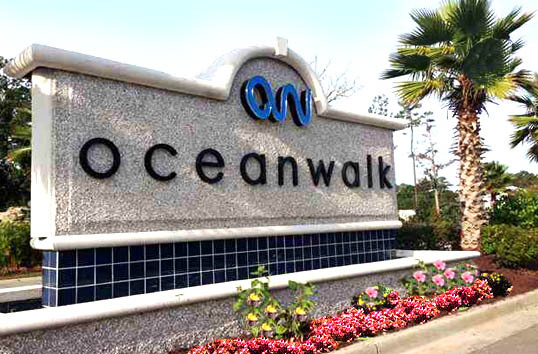 The entrance to Ocean Lakes Campground is across the street from the intersection and the beautiful Myrtle Beach State Park is just a mile away. 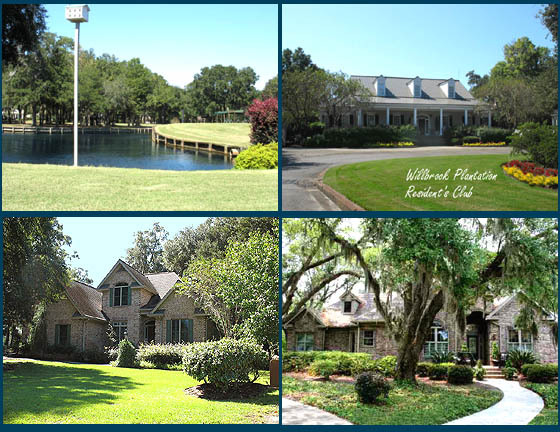 Just off Hwy 544, Prestwick Country Club and Golf Course is the focal point for many elegant gated communities. With eleven tennis courts and a pristine golf course, one of the Prestwick communities is ideal for golfers and tennis lovers, alike. Surfside Beach doesn’t have the large high-rise resort complexes found in Myrtle Beach. Instead, smaller vacation rentals and condo buildings like Fairway Ridge and Channel Marker feature golf course and oceanfront condos. Original, older beach houses, the manicured greens of the golf courses, and the pristine beaches combine to give Surfside Beach a comfortable residential ambiance. If you prefer a peaceful, less hectic lifestyle but like the idea of being close to the fun and excitement of the Grand Strand, you will want to check out Surfside Beach. Visit our website to learn more and call our real estate experts with any questions you might have. 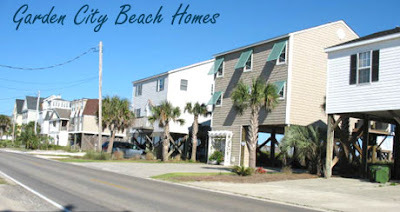 Don’t forget to schedule a private tour of Surfside Beach real estate.